In recent years, some of the more astute commentators – the redoubtable Gillian Tett of London’s Financial Times springs to mind – have pointed to the importance of ‘big data’, the vast amounts of data that are collected by ever more powerful computers about the citizenries of mainly (though not exclusively) developed countries. This quantitatively massive data has the potential to change forever the relationship between the government and the governed, though we do not yet know precisely how; indeed, even conceptualising the scale of these humongous data sets and deciding how to analyse them is a major, largely unanswered question. However, it is this same leap in computing power (and access higher storage capacities and access speeds via geometrically-multiplying computer networks) which is also making possible the spread of international comparative information between citizens, NGOs and governments, and which – in ways which may sometimes appear mundane – could end up holding large entities, in particular governments, to account in a far more exacting way then they have been used to. Specifically, there is now an index to measure a huge number of factors which have a great impact on the contentedness of people around the world. Want to know how your government performs according to international norms of human rights? Amnesty International has an index for you. Do you think your government could do a lot make your country’s cities more pleasant? Then the Economist’s Liveability Ranking will go a long way towards telling you if you are correct. Indexes telling us everything from how much money your government is spending on (largely) pointless armaments to the general level of happiness in your country is now available at the touch of a button. In many if not most polities this fact has yet to truly register, but once it does and reference to these indices and international comparisons become more commonplace, it is quite possible that governments will be under considerable pressure to increase their performance levels and climb up the indices which their electorates value most. Turkey’s AKP: Advancing Towards Democracy or Anonymity? That The Economist, a newspaper that we would love to love more than we actually do, has produced yet another perplexing article, is not perhaps in itself news, but Mediolana’s CSO was struck by the rather short-term perspective offered in the 25th February 2012 piece entitled Erdogan at bay: The Turkish prime minister faces new threats at home and abroad. Essentially, this article attempts to place the extraordinary popularity of the Justice and Development Party (known by its Turkish acronym, ‘AKP’), a movement headed by current Turkish Prime Minister Recep Tayyip Erdoğan, in a context that suggests more questions than answers. Pointing to such factors as a slowing economy, a possible fallout between the various factions within the AKP and potential trouble from the increasingly surreal regime of Bashar al-Assad, the publication as famous for its beautiful typography as its often woeful prognoses appears convinced that the Erdoğan era is about to turn sour. 1. The End of the ‘Zero Opposition’ Era. Since the Justice and Development Party swept to power in the November 2002 elections to the Turkish Grand National Assembly, it has benefitted from being confronted with a broadly fragmented and ideologically bankrupt opposition which has been characterised by ultranationalist and laïciste dispositions; moreover, during this period the major opposition parties have singularly failed to put forward a charismatic and convincing leader figure. Yet in a multiparty system which has been dominated by coalition politics – the 2002 AKP administration was the first stemming from a single party since 1987 – this situation is an anomaly. When a coherent opposition emerges, it is unlikely that the AKP will receive anything like the stellar support that it has been garnering in recent years. 2. The Limits of ‘Management’. Countless acres have been penned about the AKP’s significance at the intersection of Islam and democracy, but as even the Turkish Prime Minister himself has noted, his party’s success is much more about ‘management‘, and The Economist’s own statistics illustrate why: The World in 2002 stated Turkey’s GDP as US$146bn, with a GDP per capita income of US2,180 and inflation of 53.1%; The World in 2012 records a GDP of over one trillion dollars in PPP terms, with a per capita income of US$9,760 in real dollars (US$15,000 adjusted for PPP) and inflation of 6.6%. This is an incredible transformation, and goes a long way towards explaining why the Justice and Development Party has won three consecutive elections (2002, 2007, 2011). However, the irony of this success is that it has led to the AKP creating expectations that it may struggle to fulfil. 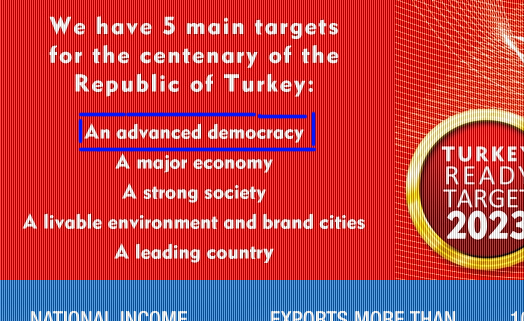 For example, the promulgation of its stated goal of creating an ‘advanced democracy‘ in Turkey by 2023, the 100th anniversary of the Turkish republic, has in fact served to highlight how poor certain elements of Turkey’s polity are even by very average standards, let alone those of the truly advanced democracies of Germany and Scandinavia: the position in areas such as press freedom (as demonstrated not just by the jailing of a huge number of journalists, but by the not-so-subtle sidelining of eminently reasonable AKP critics such as former Milliyet columnist and Istanbul University Professor Nuray Mert), environmental protection and many other basic rights verges on the comically bad; the cognitive dissonance between economic change and democratic statsis is simply unsustainable and something which no amount of new consumer goods can compensate for. 3. Dynamism. The AKP itself is a prime illustration of the dynamism and responsiveness of the Turkish political scene: founded in the summer of 2001, it entered political office less than fifteen months later. It is therefore for a very good reason that another columnist, the unusually perceptive and always readable Şahin Alpay of Zaman, has opined that unless the AKP makes good on some of its more liberal rhetoric, ‘it is doomed to lose the next election‘. It is entirely feasible that one changed variable – a stuttering economy, the formation of a new and credible democratising party, or a split in the AKP – could yield an unrecognisable political terrain in as little as four years’ time. Mediolana Versus The Economist: Yuán-Nil! From time to time – whether leafing through it at a mainline railway station or on the Web – we feel that The Economist, which went through a period when it was clinically dead from drinking the Kool-Aid of macroeconomic orthodoxy, is in danger of becoming a periodical of record once more. And tweets such as the above one – a brief missive which says what many of the world’s more visionary financial analysts are thinking about the rise of the Chinese Renminbi – are further evidence that The Economist is beginning to think outside the tired box of infinite dollar supremacy. But were Economist staff at least in part inspired by this blog’s post of 21st April 2011, ‘Renminbi 1, Dollar 0?‘, the tweet of which is reproduced below? We reported on Singapore’s ambition to become a hub for the PRC’s currency, a move that makes South-East Asia’s real-life take on Sim City one of many states – including Russia, Turkey, Brazil, Nigeria and Iran – that are beginning to marginalise the US dollar and conduct business in other currencies, a trend that surely deserves further examination. But where will you read about it first? How to Make the Tata Nano the New Volkswagen Beetle: Lithium-Ion + Solar! 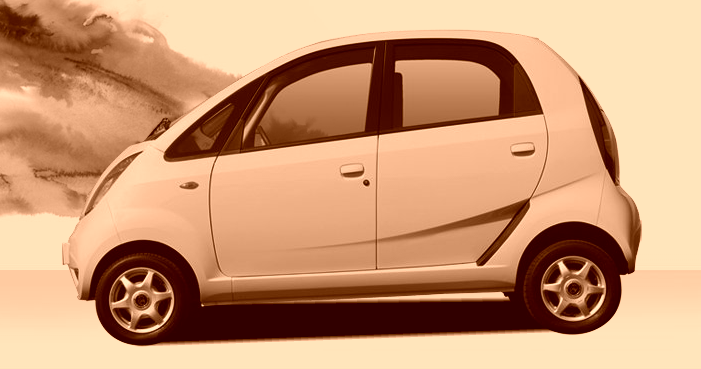 The Economist – that slightly erratic periodical of record – recently ran an intriguing story (Stuck in low gear, 20th August 2011) on the woes of the Tata Nano, an automobile that promised to revolutionise motoring on its March 2009 launch: the Nano, a small four-door city car stripped of luxuries such as power steering and a stereo system, originally retailed at around 100,000.00 (US$2,200.00) in its thus far sole market of India; despite recent price hikes, it is still the cheapest new car available anywhere in the world, aiming to bring the (albeit complex) liberty of private motoring within reach of tens if not hundreds of millions of materially ascendant subcontinentals. As yet, sales of the Nano have not yet taken off as planned: predictions of 20,000 units vended per month have not been met, with total sales for July 2011 a mere 3,260 vehicles. The Economist gives two specific reasons for these sluggish figures, part of ‘a slump in the Indian car market’: ‘rising interest rates and fuel prices’. It goes on to report that Tata Motors – whose subsidiaries include marques such as Jaguar and Land Rover – is trying to entice customers with a raft of measures, including nationwide advertising and an improved guarantee. We at Mediolana believe this is a profound miscalculation. If Tata Motors wishes the Nano to become South Asia’s equivalent of the Volkswagen Beetle – truly a people’s car – then it has to proffer the Indian consumer an incentive without precedent: no more fuel bills. As consumers in Europe and North America are beginning to find out, petrol bills can be a huge financial drain and a serious barrier to ownership of a private vehicle. However, the cost of petrol (and indeed other forms of energy) relative to income in developing countries – particularly still essentially poor and/or chronically mismanaged ones such as India – is enormous. A 2010 World Bank study, the snappily titled Expenditure of Low-Income Households on Energy, shows that the average Indian household devotes 12% of household expenditure on energy; in a context where 55% of household expenditure is allocated to food, this leaves little margin for additional discretionary spending, let alone consistent outlays on expensive petroleum. 1. Ditch Petrol Engines. The Tata Indica – a fairly anonymous hatchback a tad larger than the Nano – already has an electric version, the launch of which is imminent in Europe; moreover, an electric iteration of the Nano was paraded at the 2010 Geneva Motor Show. Incredibly, there are presently no concrete plans to launch an Nano powered by a lithium-ion battery; Tata Motors should embrace the inevitable and commence production of this vehicle without delay. 2. Ship Solar Cells with the Nano. Owing to a patchy, unreliable and far from comprehensive grid, a conventional electric car charging system is not yet feasible in India. The solution is clear in a land of abundant sunshine: include a solar charger with the Nano. At a stroke, this will wipe away the overwhelming majority of costs associated with car ownership – and make the Nano an irresistible proposition for India’s new middle classes.